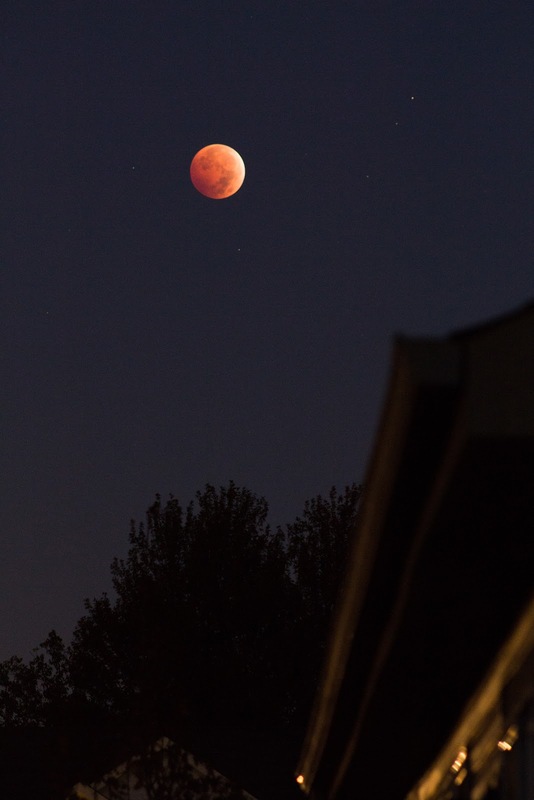 I got clouded out for the first lunar eclipse in the 2014-2015 tetrad. When I saw the weather forecast, I was extremely excited and hopeful. I could barely get to sleep the night of the 7th, and had no problem waking up at 5:00am (before the start of the partial eclipse). Composite image of 15 stacks of about 15 frames each, stacked in Registax, High pass layer in Photoshop. Notice the first full moon image doesn't match, I took it the night of Oct 9th to complete the look of the series. When I took my first photo at 5:06am the penumbral eclipse was already darkening the moon (top row middle). 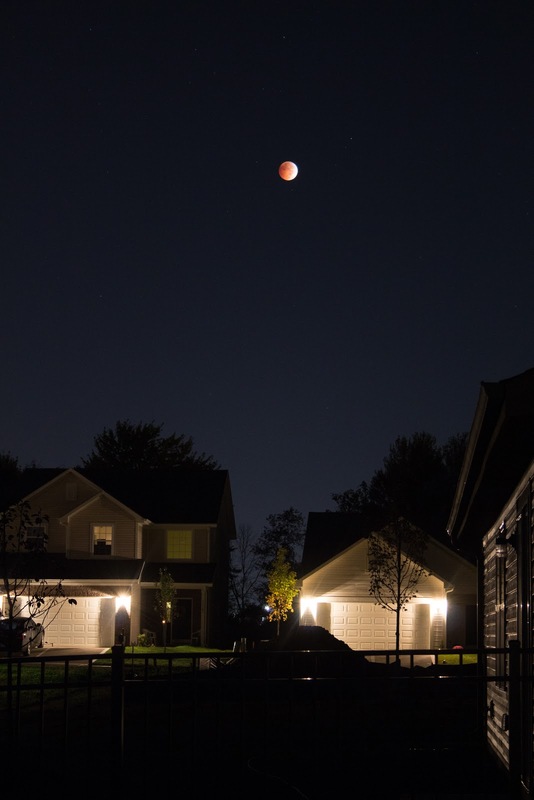 The series above were taken at various exposures ranging from 5:06am, ISO 200, 300mm, f/5.6, 1/1600sec to the blood moon at 6:57am, ISO 800, 300mm, f/5.6, 1.3 sec. Going from 1/1600sec to 1.3 seconds is a crazy amount of change in brightness! To the naked eye the fully eclipsed full moon looked very dark. It was unimpressive (although bizarre and interesting) through a 60mm refractor because it was so dark. It doesn't look like the photos, those are collecting more light. Since this was my first total lunar eclipse I wasn't sure what to expect, but I'm glad at least in the camera it had the dramatic red hue. Let me back up and talk a little about how I was set up for the night. 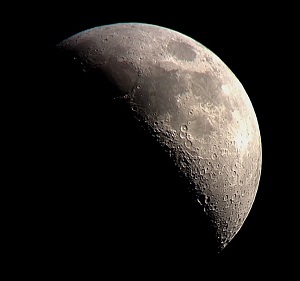 I had my Canon T5i on a fixed tripod, and my Meade 285 refractor with DIY digiscoping mount. I put a towel over the camera when I wasn't shooting to prevent dew, and then tried to re-focus before each shot. It was difficult to focus as the moon got darker - a combination of the low light and the fact that the moon was approaching the horizon. I was also able to get some video with my iPhone and convert it to pretty decent photos. 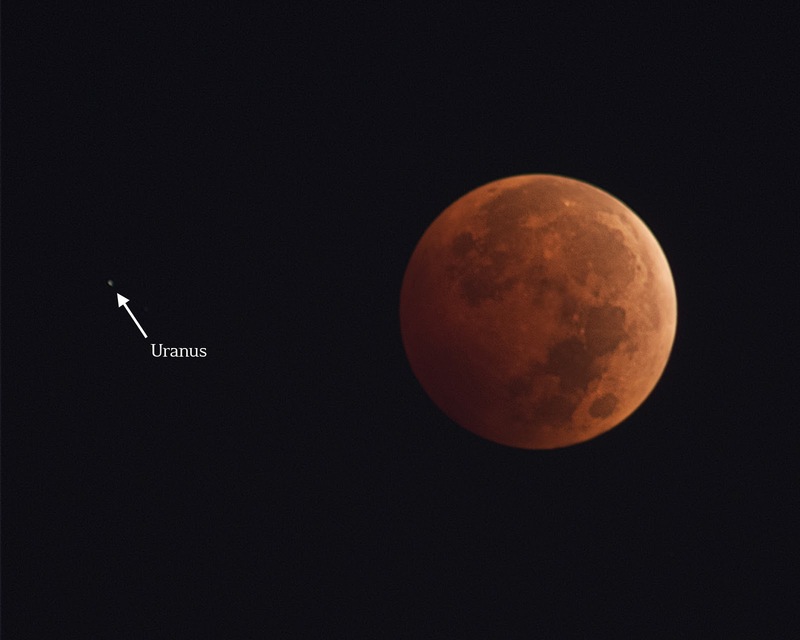 The planet Uranus was clearly visible in the photos, although not with the naked eye from what I could tell. At mag 6.05 or so, it was very obvious and surprisingly close to the moon. It's fascinating to see photos with the full moon and stars so close together because in other photos of the full moon, everything is washed out completely. 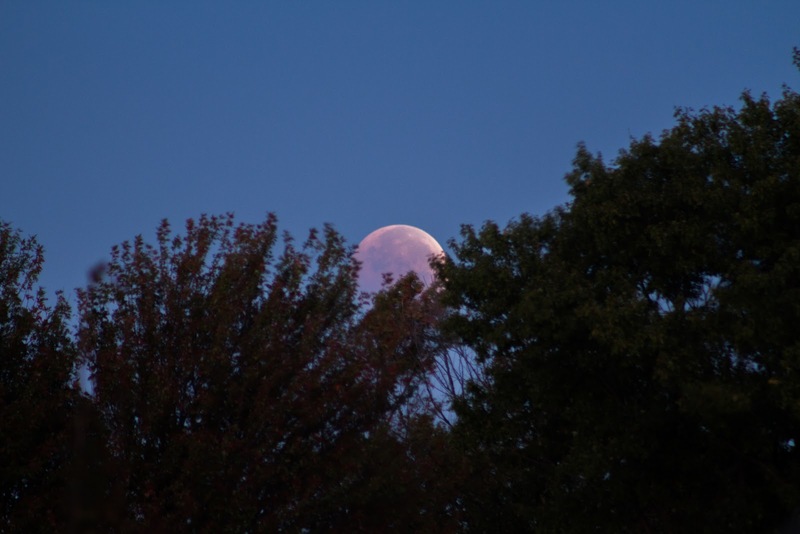 As the light changed, and morning twilight turned to dawn, the still fully-eclipsed moon set over the tree line at 7:17am (and I rushed to finish getting ready for work). As I was driving to work, I could see the moon coming out of total eclipse with a weird crooked banana shaped crescent moon just over the horizon. It was bizarre because it wasn't a crescent like a regular phase of the moon, it was just a little bright chunk of moon against a blue sky. All in all, it was definitely worth getting up early to get my sequence of shots. 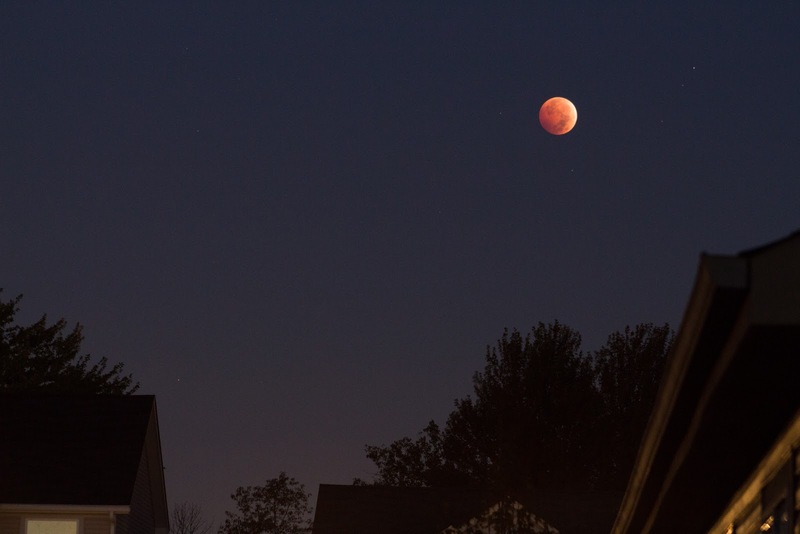 I've been wanting to put together a lunar eclipse composite like the one at the top of this post. I think I'll order a print and frame it in my office. 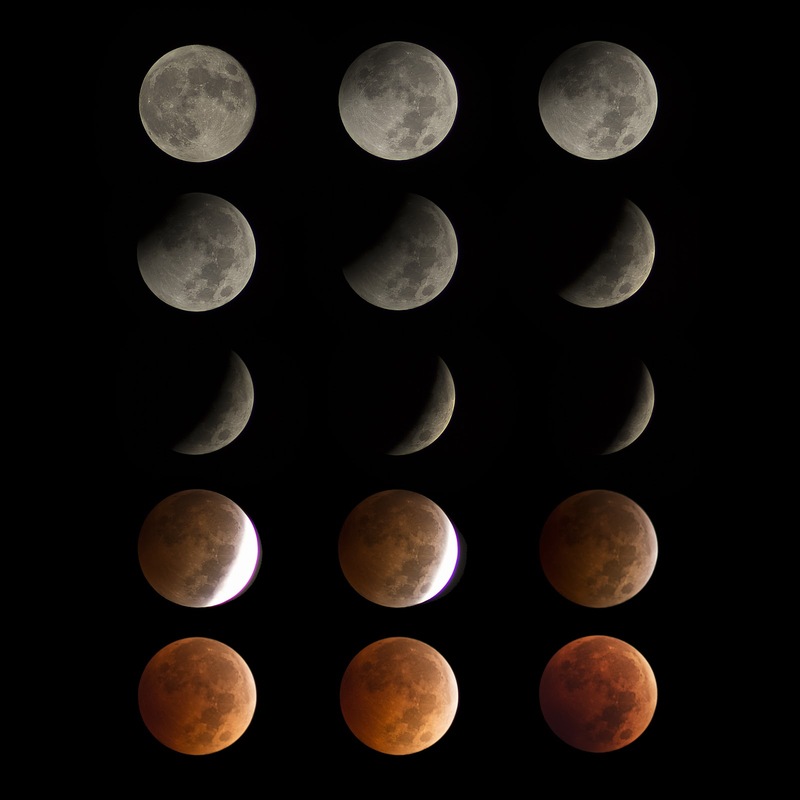 The next step is to photograph the ENTIRE eclipse sequence, and it looks like I might get that chance in September 2015! Great photos! I'd hoped to try to take some through my telescope with my old iPhone, but unfortunately it clouded over before I got set up. I did get a nice view of the first part of the eclipse with my naked eye though. Thanks for talking about how it looked to the naked eye compared with photos. 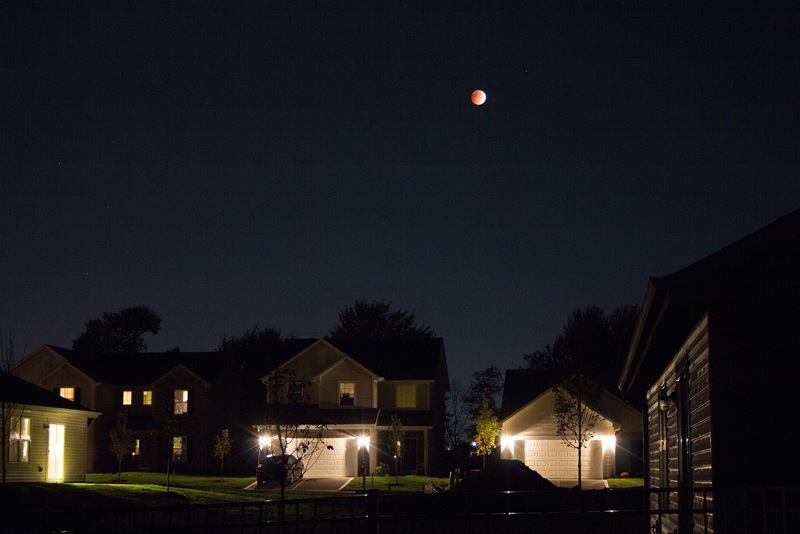 I've always found it surprising how few people seem to mention this, it's strange that I'd seen so many photos of a total lunar eclipse but still didn't know what to expect to see when actually looking at one.